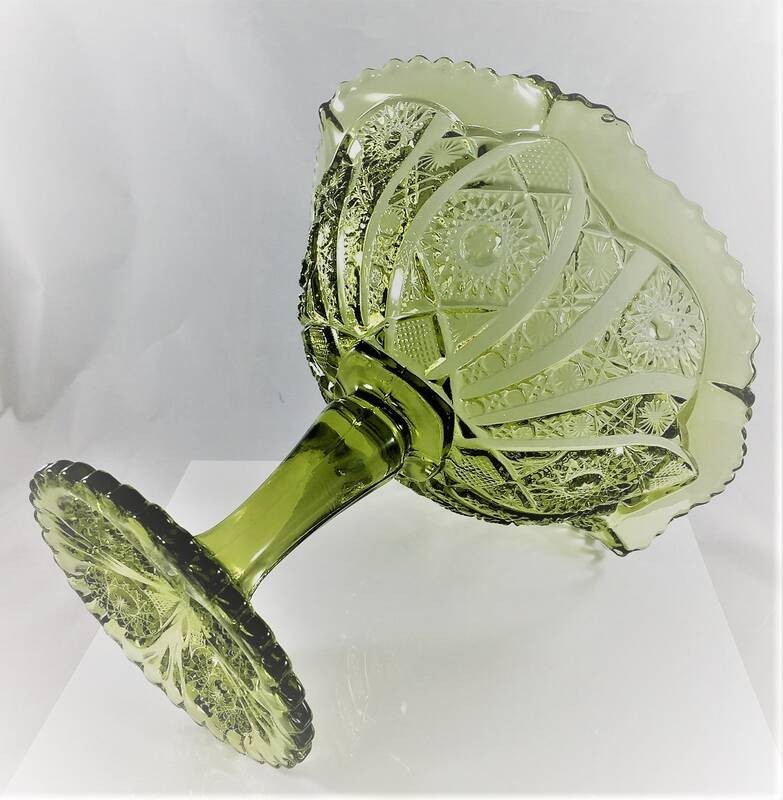 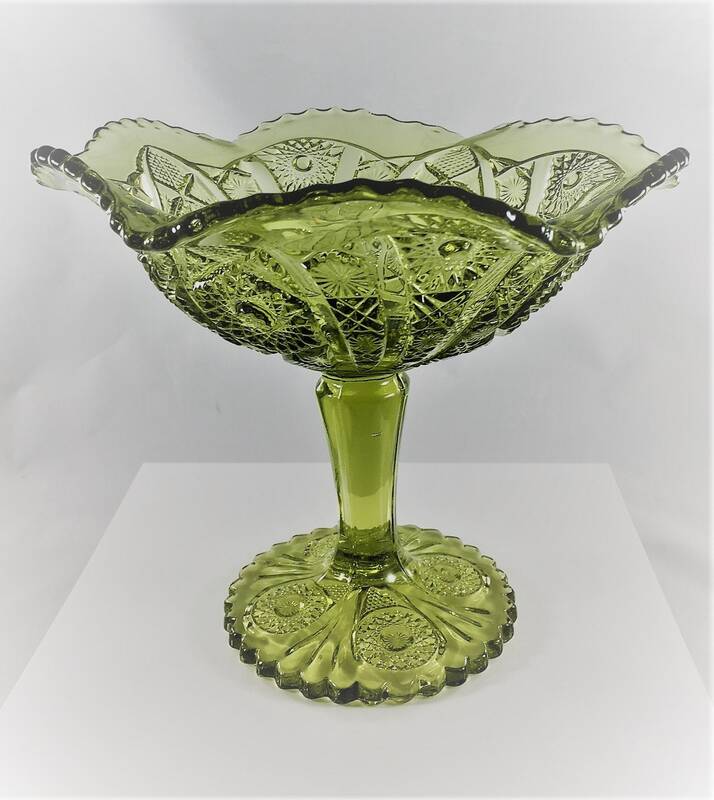 Featured is a stunning green pedestal compote or candy dish from Imperial Glass. 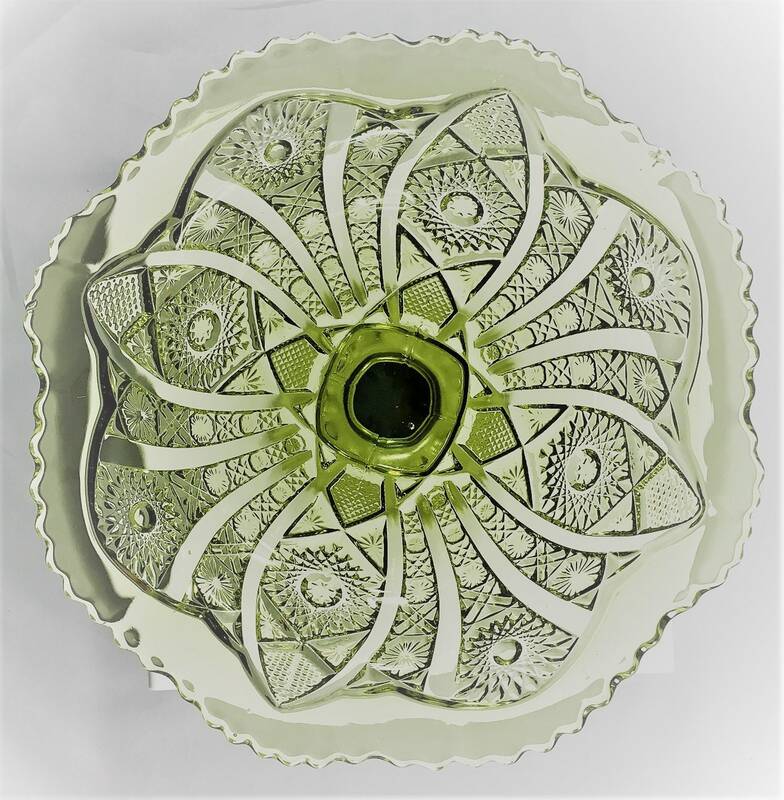 It's part of their long since discontinued Daisy and Button Green (Verde) collection. 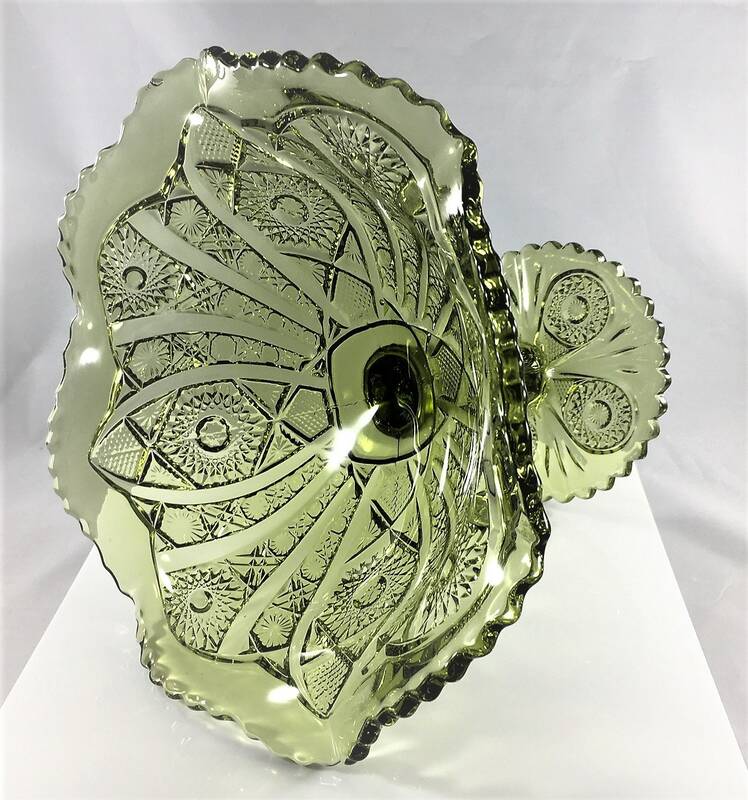 This remarkable piece measures about 7 inches tall and is 8 1/2 inches in diameter. 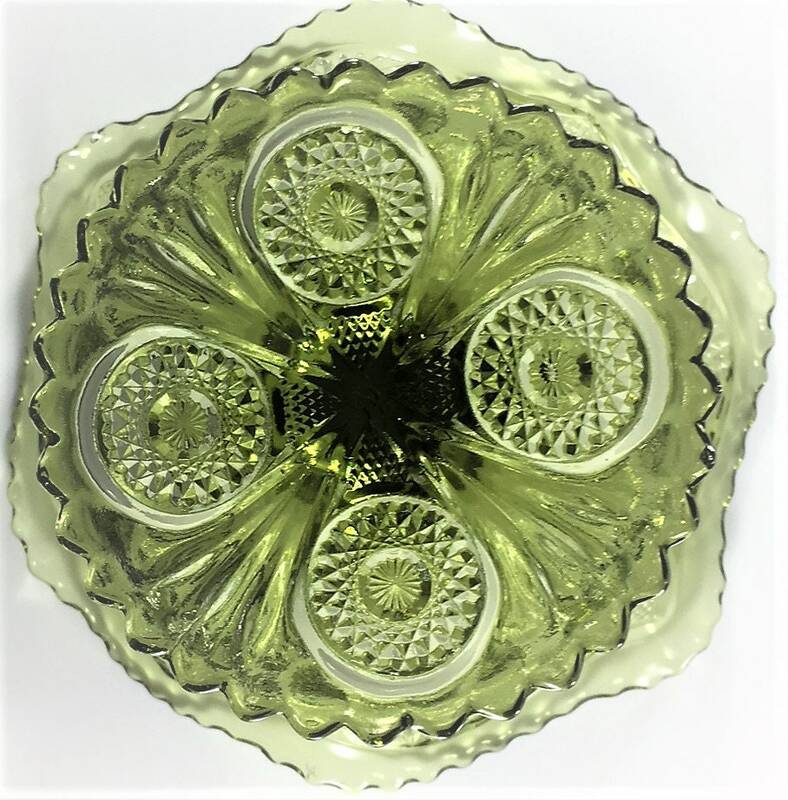 It is in excellent vintage condition, free from any chips or cracks.